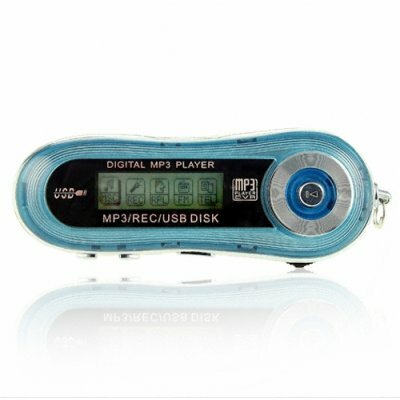 Successfully Added Smooth Blue MP3 Player 1GB - 10 Hours Playing Time to your Shopping Cart. Smooth Blue MP3 Player 1GB - 10 Hours Playing Time. Cute and pocket sized smooth light blue 1GB MP3 Player, powered by a single inexpensive AAA battery but providing up to 10 hours of listening enjoyment. You can easily find which songs you wish to play with the Backlit Dot-Matrix Display with ID Tags, as well as being to record in ACT or WAV format. Make sure not to miss the wholesale savings you can get for this great easy to use MP3 player by buying 1 sample for yourself and then stock-up in bulk for even greater savings. Note: This model MP3 player now includes upgraded HD earphones as a free bonus!